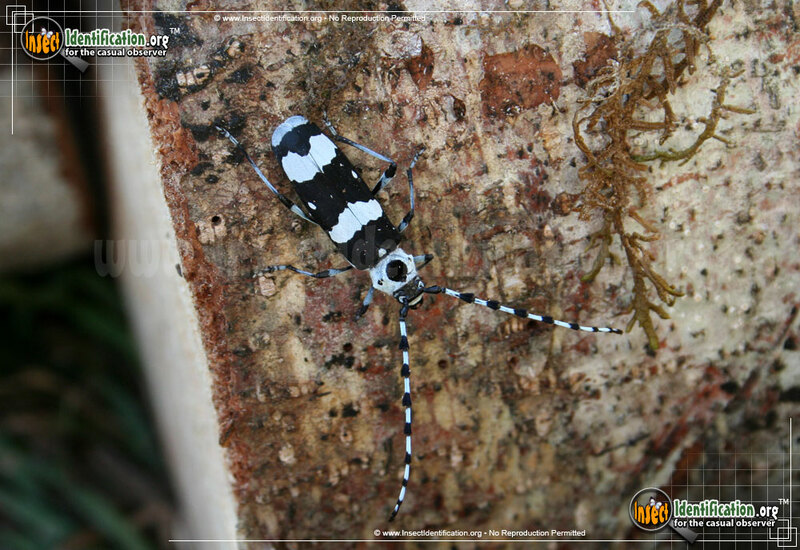 Detailing the physical features, habits, territorial reach and other identifying qualities of the Banded Alder Borer Beetle. The larvae of the black-and-white Banded Alder Borer Beetles enjoys digging into the heartwood of more than just alder trees. 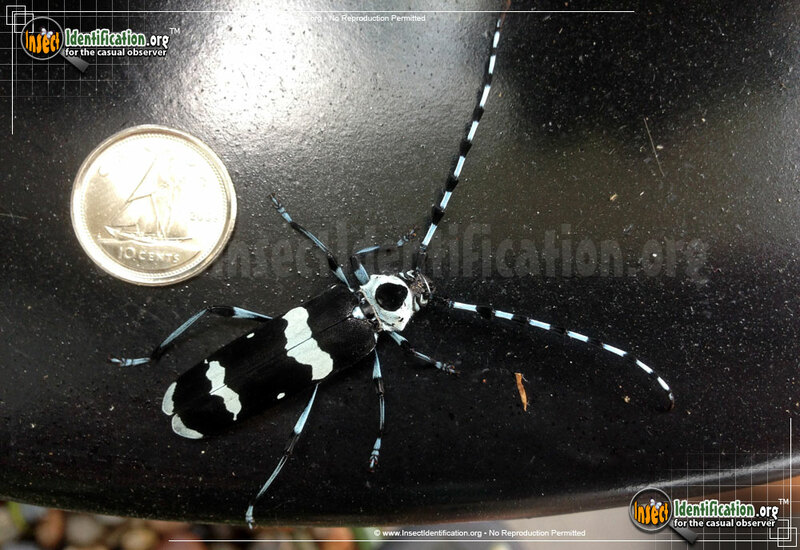 The Banded Alder Borer Beetle is a member of the Longhorn Beetle family Cerambycidae. Their antennae are quite long, sometimes three times longer than the body of the beetle. These data-detecting body parts make large sweeps back and forth, both behind and in front of the insect, collecting environmental information. There are over 1,200 species of Longhorn Beetle on the continent. The head of the Banded Alder Borer is black, but its prothorax ('shoulder' area) is white with a black spot in the center of it. The elytra (wing covering) has thick, alternating bands of black and white along the rest of the body. 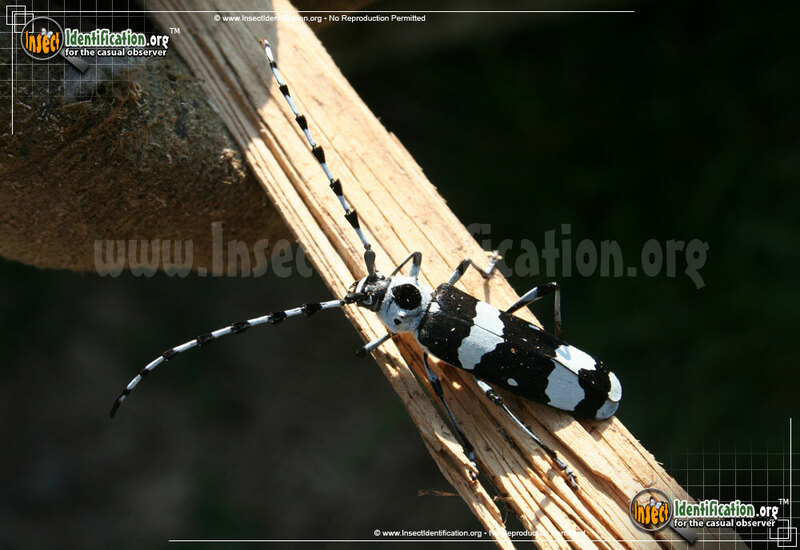 The antennae of this species are also banded in black and white. Though they are visually easy to recognize, more research can be done to learn about the life cycle of this beetle. Oddly, adult beetles are attracted to the smell of drying paint. It is believed that the odor the paint emits might be similar to pheromones that the beetles make themselves, and they are drawn to the paint unintentionally. Another suggestion is that the paint mimics the smell of dying trees, which this beetle species finds attractive. Adults are active in the day and can be found in large numbers on the trunks and branches of trees. Different populations seem to prefer a particular type of tree based on their geographical position. In the Southwest, they cluster on alder trees, their namesake, but in the Rocky Mountains, they are seen on willows and in the Pacific Northwest, they are common on ash trees. Whichever area they are in, adults all seem to deposit their eggs on the outside of the bark of a distressed or fallen tree. The tiny larvae hatch and then bore into dead tree trunk. This beetle may be a bit of a nuisance to the logging industry. 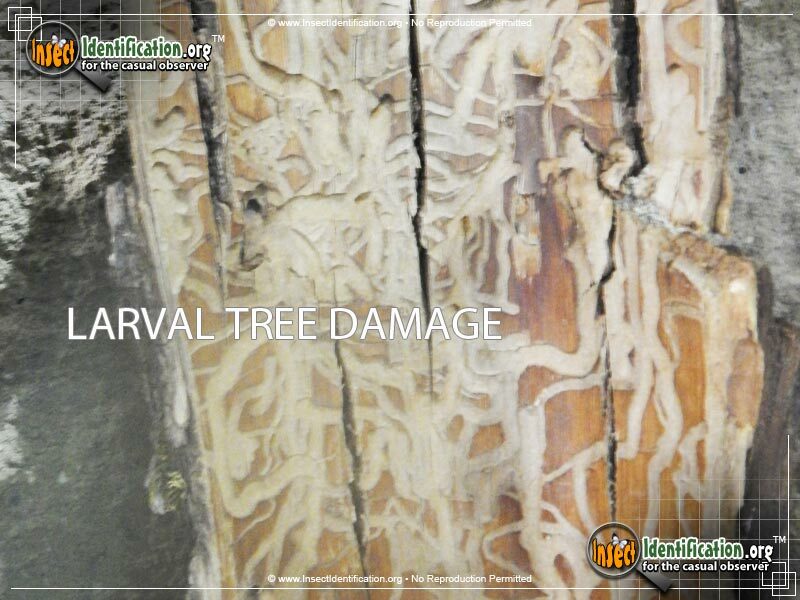 Freshly chopped-down trees are potential landing sites for eggs deposits, and once the larvae bore into the inner trunk, the tunneled wood may become less attractive and useful.